“NeosVR is a project with high ambitions and currently being developed by a single developer with the help of a business partner to handle the runnings of our startup and all the things around it. “We expect the project to continue maturing within the following year, especially with the help of the community. As we continue to work on it, it'll gradually keep becoming more stable and well rounded, usable for more and more applications. “While Neos doesn't have a well defined "Full Version", as there will always be more features, content and systems to add, there are several major features that will be added to the system. The primary one is powerful dynamic loading and synchronization of assemblies, instead of preloading them explicitly as mods. However due to security reasons, we have postponed this feature until we integrate Chromium’s sandbox. We're also working on many other subsystems that will make Neos usable as a VR art and music studio, such as editing audio, animation, integration with more hardware, as well as interfacing with external languages, scripts and devices to widen the possible applications of the system. “Neos is already a very powerful system, allowing users to build, edit and experience in implicit multiplayer VR with a wide range of features (see the description section) that make it applicable to many scenarios, from entertainment to professional use. “Community involvement is crucial to Neos. While we try to provide a variety of features and content ourselves, it is ultimately made to enable you to build new VR worlds, virtual tools and applications and share them with other users. Whether you are an artist, casual user, scientist, hobbyist builder or seasoned developer, your experience with the system and feedback will help us shape its features, improve ease of use and set priorities for further development. We're very excited to announce our first Neos Content Contest, where you can win prizes for creating cool content in Neos VR. This contest has officially started on April 7th at our second community meetup, but there is still plenty of time to join. You have until May 7th to submit your creations. Each winner will also receive their own unique name badge, with the rest of the contestants receiving a participation badge, to show that they were part of our very first contest. Each contestant can submit up to three entries. Collaboration is also allowed, but each team will have to split the prize. Unique badges will be awarded to each team member. You are allowed to create whatever you imagine, worlds, objects, avatars, particle effects, gadgets, logix scripts, games, art, anything at all! You are also allowed to use preexisting content, but you are required to do something original with it. Simply importing existing models without any modifications or interactivity won't qualify. All content must be submitted as a world orb with a tag name under as NCC. Content will be judged on multiple categories such as interactivity, originality, audio/visual and overall experience. We are looking for diverse content, so any type has chance to win! We are all very excited too see what incredible things this community can build out this month. We will be announcing all winners on May 14th 2019. Each Neos Team member will be voting for their favorite experiences. In case of a tie, it will be broken by Frooxius (me). We'd also like to give special thanks as well to our sponsors and allowing for a bigger prize pool for our first NCC contest! We are a small, but passionate team and it makes us happy that we can support our creative community this way. And also big thank you to our Patreon supporters, whose passion and support keeps moving this project forward. If you have any questions or feedback, feel free to ask! 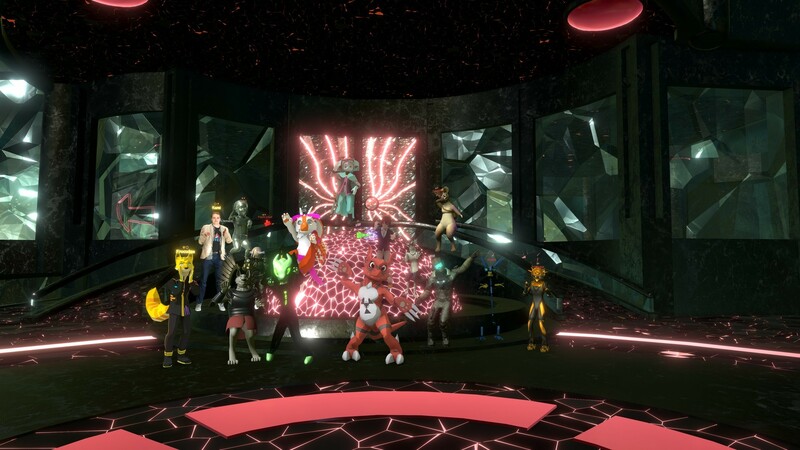 Thank you for your attention and see you in the metaverse! I’m happy to announce that after almost 200 nightly builds (that’s more than one update per day) and thousands of new features, tweaks and bugfixes, Neos VR has now reached a major version 0.8, with massive improvements in its usability and social features. This is the most important major update to date. It transformed Neos into a more user friendly, fun experience for everyone and made its powerful creative tools and the things created with them accessible to more users. If you haven’t checked out Neos in a while, now would be a good time to hop on! Our community has also grown significantly over this time, helping test out the daily builds, providing ideas, feedback and bug reports and shaping this major release with real needs and experiences. It was a pleasure seeing and collaborating on the most amazing experiences and interactive items in Neos and seeing them grow together with the project. Thank you everyone for making Neos better every single day. So what’s new? There have been literally thousands of new features, tweaks and bugfixes over the past few months and here’s a full history if you’d like to read it, but let’s go over the major things. With the growing community came an influx of more worlds into Neos and the old (ugly) content hub was no longer keeping up and neither were people’s computers because of hundreds of performance heavy world orbs. You can now access a brand new “World Browser” from your dash, which provides cleaner listing of public worlds in Neos, but more importantly also searching. You can search by tags (e.g. “games”, “art”, “educational” or “3D scans”) or author (e.g. “by: Nexulan”) to easily find the experience you’re after. They can also be sorted by publication date, last update or number of visits. I’m also very happy to announce that we have a brand new hub collaboratively built with our community. The beautiful design and 3D modelling was done by Aegis_Wolf (who’s been building lots of cool things in Neos), with concept and direction provided by Nexulan and me (Frooxius) creating the materials, shaders and interactive elements (done with LogiX right in Neos!). It’s no secret that coming out of alpha Neos’ UI was very clunky and frustrating to use. Many of its parts have been completely redesigned. The old “logomenu” was replaced by a more modern dash, UI panels have been spruced up with title bars, close buttons and help dialogs and dozens of other elements were tweaked or redesigned to make them easier to use, from world orbs, world switcher to tools. To help with the learning curve, Neos also now has basic contextual tutorials, which explain what each button does or how to interact with some elements when you’re around them. Our community has also been busy making awesome tutorials on both the basics and more advanced topics, look for BusinessLawyer’s tutorials if you’d like to learn more. There’s lots of peripheral features as well, like adjusting other people’s volume, jumping to their location in world, seated mode, smooth turn, changing your audio input device (and having voice indicator) and various other settings, play/edit mode (getting rid of those annoying lasers), equipping avatars right from the inventory (and setting them as default), making file browser private by default or inventory shareable. People no longer have to be strangers in Neos! You can add other users to your friends list and see their online status, which worlds they’re in, send them text messages, invites and even arbitrary objects (like a fixed up avatar that you did for them) right within Neos. The friend system also lets you send other people payments (but more on that later) and automatically give them permissions in your world (more on that later too). But you don’t have to worry about the system getting in your way, you can set your status to Invisible so you appear offline and all your sessions are private by default. Because of Neos’ unparalleled creative freedom right within VR, some worlds can get chaotic pretty fast. Luckily you can now assign users to different roles, which restrict what they can do in your worlds, whether it’s restricting their locomotion modes, ability to use editing tools, spawn items, grab certain objects, switch voice to broadcast or making them full passive observers. All roles are customizable right in VR in classic Neos fashion, so you can fine tune them to your needs. Nevertheless this is only beginning and as we get more users we’ll be iterating on this system and making it more robust and rigorous. Another feature that goes hand in hand is restricting who can join your sessions at all. You can let only your friends join or only specifically invited users. Joining users are cryptographically authenticated to ensure your security and privacy. One of the most fun additions was the physical locomotion system. You can now run around, jump, collide with walls, climb (even on other people), fling yourself around or float in Zero-G! All of the system’s properties are adjustable and scriptable right within Neos, so you can tweak them in your world (or per character) to create variety of experiences. We already have community building space experiences, skate parks or radial gravity for walking around the sphere. The locomotion system also comes with extra interaction modules for applying forces, parenting (changing coordinate systems) and teleporting. We’ve built some of the most fun stuff with these building blocks, like trampolines, springs, boost rings, sticky surfaces, gravity lifts, flying vehicles or even actually working portal gun! The most requested feature has made it in! Begone are the days of accidentally moving an object you were carefully positioning for the past few minutes or forgetting to save an original material when trying out a new one. Lots of user actions, both usual (grabbing, spawning items or destroying them) and editing (changing properties, materials or object hierarchy) now create undo steps, which has saved lots of frustration and enabled unleashing mayhem responsibly. Now if only we could do that in the real world. And of course in traditional Neos fashion, this system is fully synchronized and persistent (though this is off by default), which enables future extensions, like undoing actions globally (right now each user has their own history). Avatars have also received lots of attention in this release, improving their expressivity and customizability. I’ve added an eye system, which simulates natural eye behavior - looking at objects of interest (other people, hands that are holding things, random environment items), random saccades and expressions. It’s highly customizable as well, so you can tweak it to look good on your avatar or give yourself twitchy eyes. You don’t even have to use it with avatars, it works on arbitrary objects too and supports arbitrary number of eyes! In similar fashion full body avatars have a procedural walk animation based on your actual movement. All gait parameters are fully exposed. Want to be bunny hopping when going fast instead of running? You can. Or have ministry of silly walks character? Ditto. Setting up those systems from scratch can be a bit tedious and intimidating though, so BusinessLawyer, one of our community members, has created amazing automated setups right in Neos - just step on a platform in your avatar, press a button and drag a few sliders to adjust the look. Couldn’t be simpler! With the improvements being released daily on Steam, we saw our community grow in response as well, having more users return and support the project. We recently broke our record in number of concurrent users on Steam (22), which is higher than it was at the beta launch in May (17) and the minimum number of daily concurrent users is also slowly rising, staying above 10. Our Discord has grown considerably as well, having over 600 members and so did our Patreon, bringing over $1300 a month with 67 supporters. This allowed us to actually bring one of our community team members to work on Neos full time. But most importantly we saw the rise in community content, both in volume and complexity. We have almost 200 submitted worlds now, dozens of different avatars and cool items (weapons, tools and other interactive items). We are only at the beginning of our growth and I’m very excited for the things to come. I couldn’t be more proud to have a community so diverse, with people using Neos to hang out with friends, build games and beautiful environment, but also to help visualize and share their art, 3D models, 360 photos or even use it for science and education (the Sydney Human Factors Research being one of our most active users in this area). With the growth of the community grows the need for a way to trade services and items and grow the project as a whole. On February 1st we have launched an initial coin offering (ICO) for our Ethereum token NCR (Neos Credits) and already sold over $10,000 worth before this announcement. You can send people NCR through Neos itself via the chat system, with our community members already offering their services and making some first trades. This is only the beginning for the in-verse economy in Neos though. Rather than going full out we opted for a more gradual integration so we can spend more time on other features that are needed more. All earnings from our ICO and Patreon are also used to fund the development of Neos and the community and we appreciate all your financial support. We couldn’t be working on this project and expanding our team without you. There’s too many things to list, but just in short, inspector has been improved to show texture, mesh and material previews, various texture and mesh processing functions were added right in VR (e.g. recalculating normals or inverting color channels), particle system extensions, baking meshes in VR (for better performance), snapping for joints/sliders, ability to make your own virtual keyboards, lots of new LogiX nodes (Neos’ visual scripting), beefing up the material gun and more. 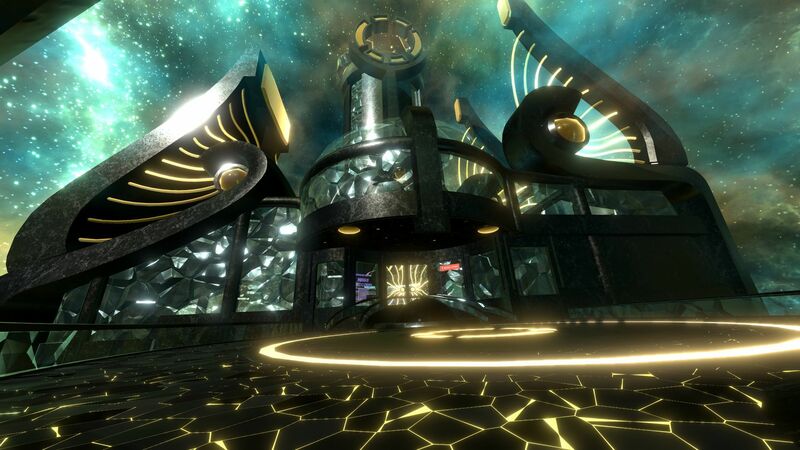 The main focus of transition from 0.7.x to 0.8.x was usability and social features, making Neos a compelling social platform in addition to being one of the most powerful creative platforms for VR. At the beginning of 0.7 cycle this was one of our biggest downsides and with that being out of the way (for the most part anyway) we’ll be turning our attention to our current biggest issue: performance. This will also pave our way to mobile platforms, particularly Oculus Quest. Some users have already been using our experimental Oculus Go builds, but lack of optimizations limits the complexity of experiences that can run on the mobile devices smoothly. Other long awaited features will also come as part of the performance update, like the shader import support, depends on some of the planned additions to the core engine. We’re interested in bringing Neos VR to AR as well (such as the Magic Leap), particularly to allow VR and AR interoperability (e.g. use items and tools built in VR in AR and vice versa or invite people in VR to your room), but this is currently dependent on funding and support we get. You’ll also see more official content from us, we’ve got some really cool things that we’ve been sitting on for a while, so keep an eye out! I’ll see you in the metaverse. Neos VR is built to be like the real world, but without the pesky laws of physics! Meet your friends and coworkers no matter where they are, explore worlds created by the community and import your own models, videos, images, audio files and more, all in realtime. If you feel like it, you can grab any of the building tools and start creating (or editing) anything from an avatar, interactive object to an entire world. Neos makes no distinction between entities, everything is accessible, editable and programmable (as long as you have the permission to do so). Editing can be as simple as gluing things together, putting a material into a material gun and shooting the surfaces in the world or fiddling with particle system knobs. There’s also more advanced visual scripting,and scene inspectors for editing object and component hierarchy. Did we mention that you do all that in VR and multiplayer too? It’s like being inside a game engine! We have taken great care to build Neos to be very futureproof and versatile, no matter who you are and what your background is. It’s based on novel engine architecture designed and programmed from the ground up to give you unprecedented amount of control. You can make Neos into whatever you want it to be, focusing on what you want to do inside in VR, with Neos transparently making sure that everything part of a single virtual universe, where sharing what you made is as simple as handing it to others or sending via message. So come and become part of our amazing community, whether you want to just hang out, visualize your models, build a cool world or a silly item, or even collaborate on projects with engineers and scientists. Neos is a metaverse for all of us. Additional Notes: Requirements vary depending on content. In on-screen mode they can be lower.